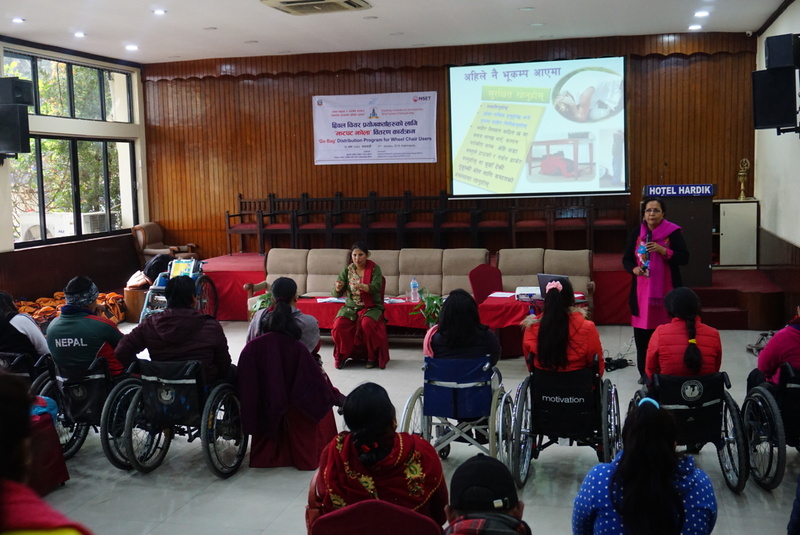 CIL-Kathmandu has collaborated with the National Society for Earthquake Technology-Nepal (NSET) to deliver a program on earthquake safety for wheelchair users to mark the 20th National Earthquake Safety Day celebrated earlier in the month of January. 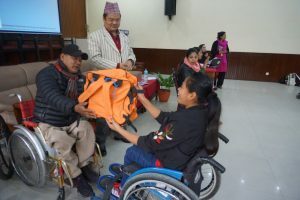 The program was part of an ongoing series of activities CIL-Kathmandu has undertaken since the devastating earthquakes of 2015 to support people with disabilities who may be particularly at risk if a significant earthquake strikes in Nepal again. 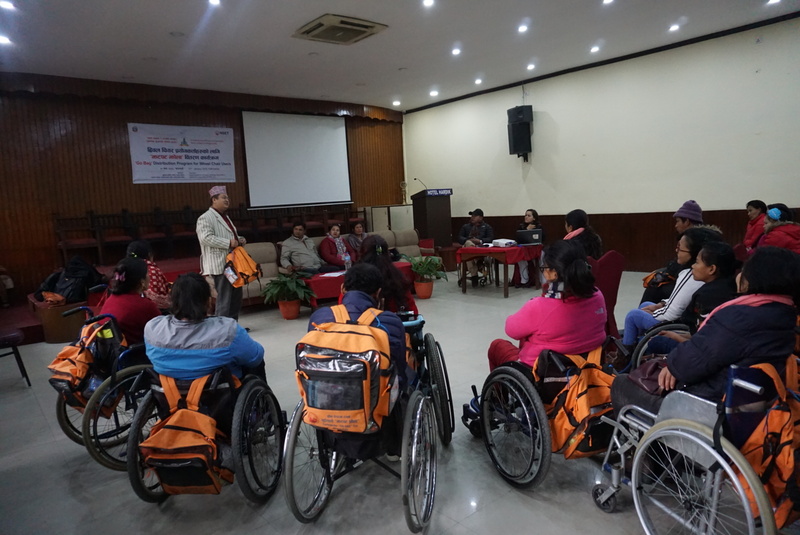 Held on 31 January 2018, the jointly run program included education on earthquakes, training on how to protect yourself during an earthquake and the importance of having a portable emergency kit readily available. 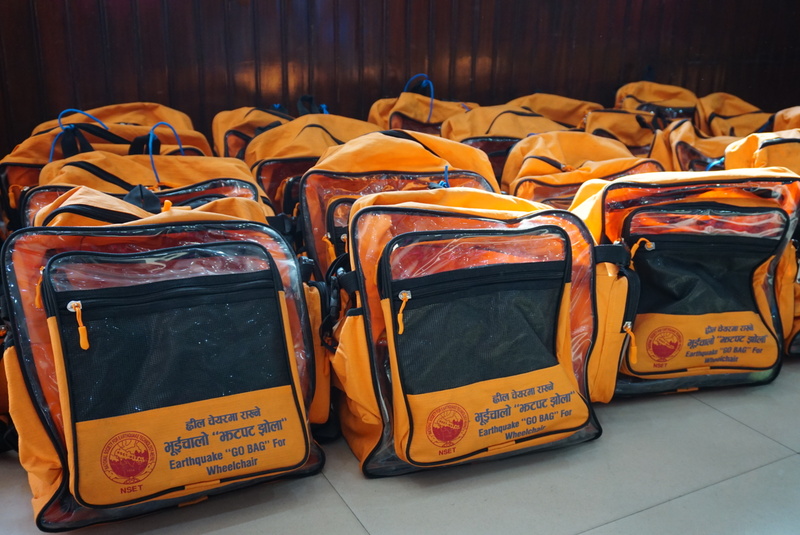 The event concluded with the distribution of emergency kits, or ‘Go Bags’, that have been specially customised for wheelchair users. Previously, CIL-Kathmandu and NSEt have worked together to produce a series of resources for persons with disabilities to assist them prepare for the risk of future earthquakes. 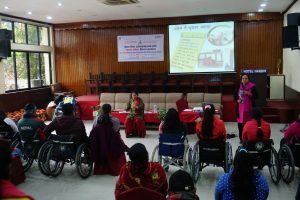 These resources are available for download from the resources page on the CIL-Kathmandu website.